Helllloooo spring! Literally, spring started yesterday and I’m so ready for it! 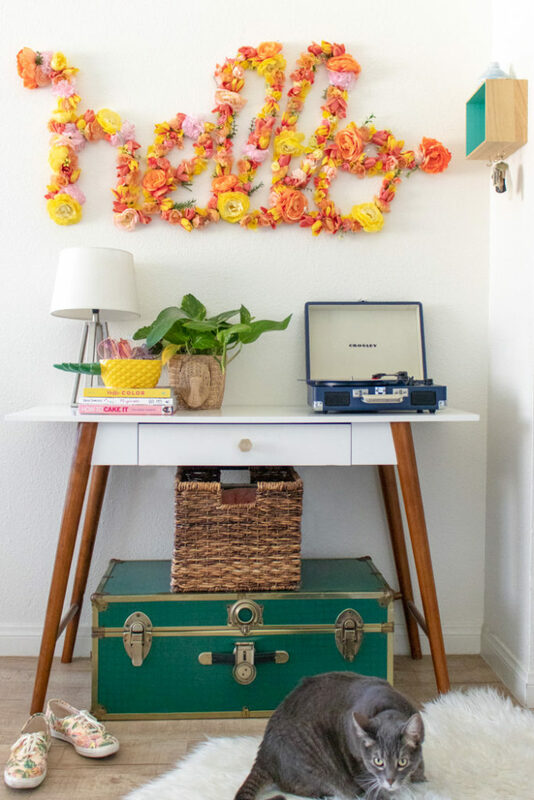 Before we moved, I started decorating for spring, which included this extra large floral word art that greets you the moment you walk in the door. 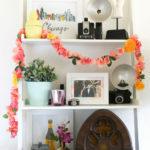 Because flowers are the number one way I decorate for the season, I decided to go with the “more is more” approach. 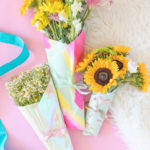 Plus, have you seen the floral selection at JOANN?! I decided to stick with a color scheme and then went to town in the floral department (clearly). 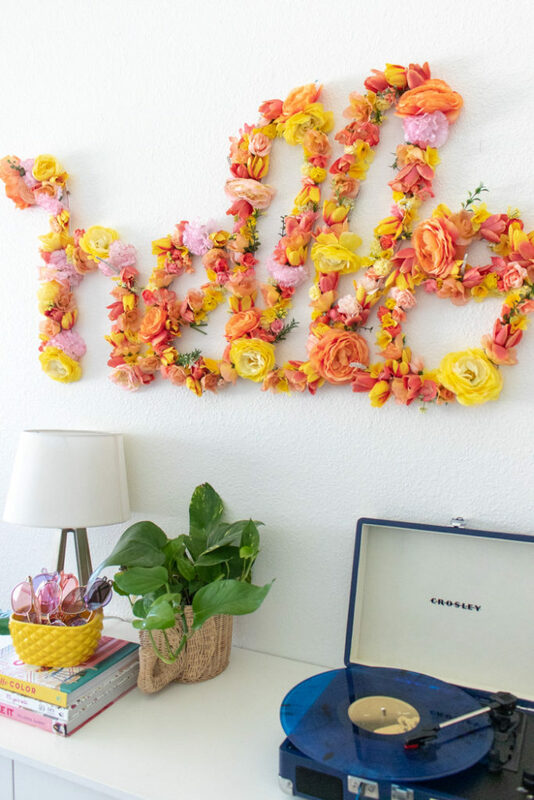 The key to making this large floral sign is to buy A LOT of flowers. Buy more than you think you need because you will probably need them! 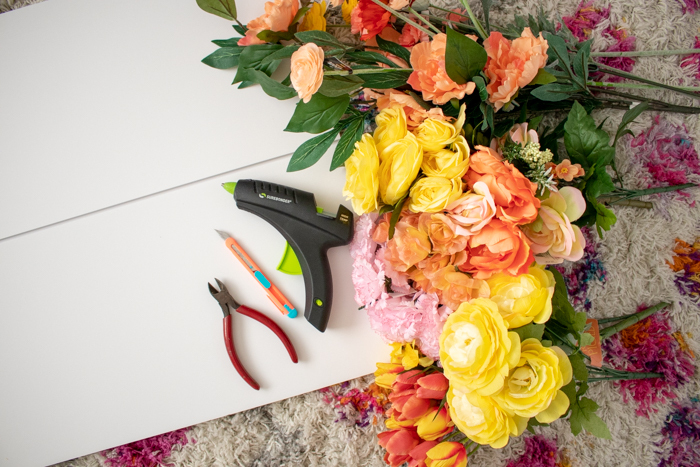 Luckily JOANN has a huge selection of flowers, so you can stick to a color scheme pretty easily and still have a variety of options. What would your sign say?! 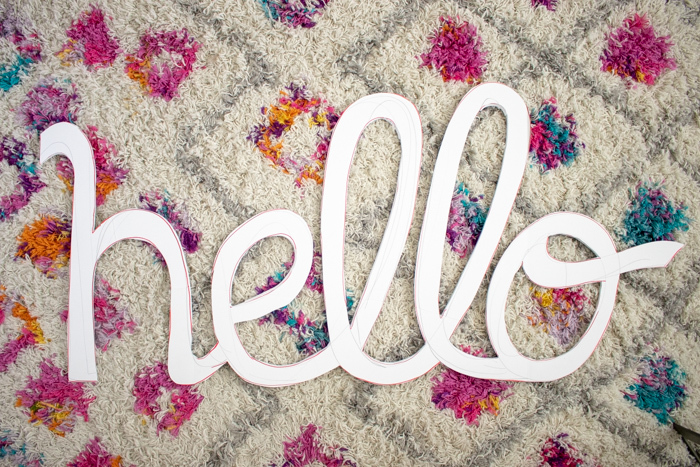 I liked “hello” because I knew I wanted it in the entryway, but “spring” or even your family name would be cute signs too! 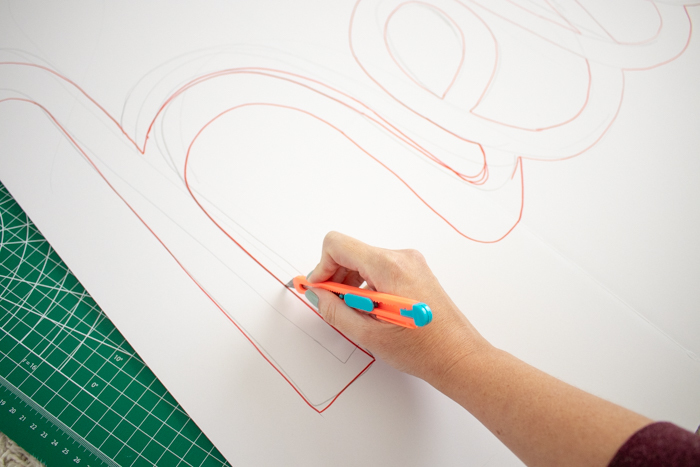 Step 1: Draw out your word in cursive on the poster board as large as possible (using two pieces if needed). 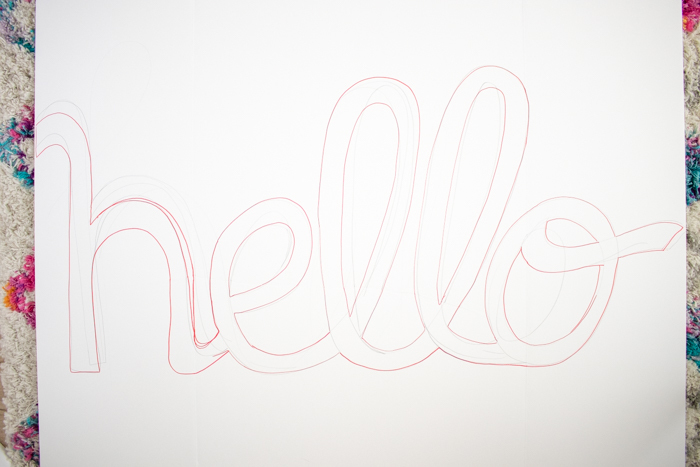 Don’t worry about messy lines or covering mistakes! They’ll be covered. 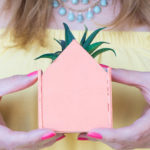 Step 2: Use a craft knife over a cutting-safe surface to cut out the word. 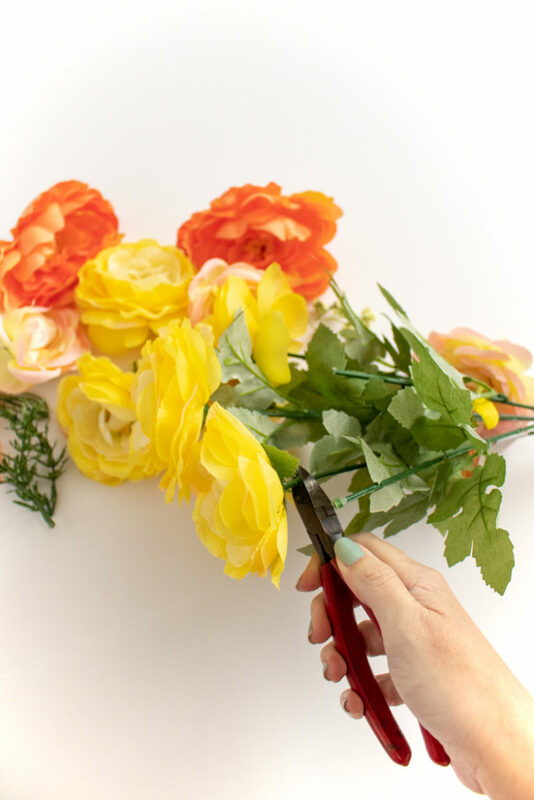 Step 3: Cut the flowers from the stems using a set of wire cutters. 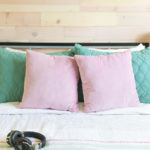 You’ll need A LOT and a variety of sizes. 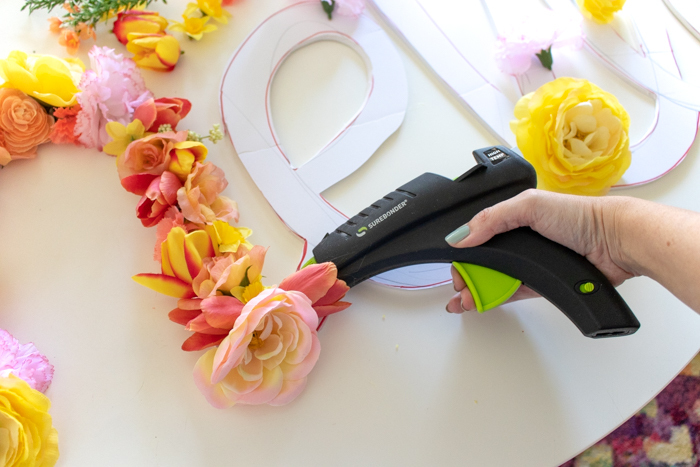 Step 4: Heat up the glue gun and begin gluing the flowers onto the poster board. 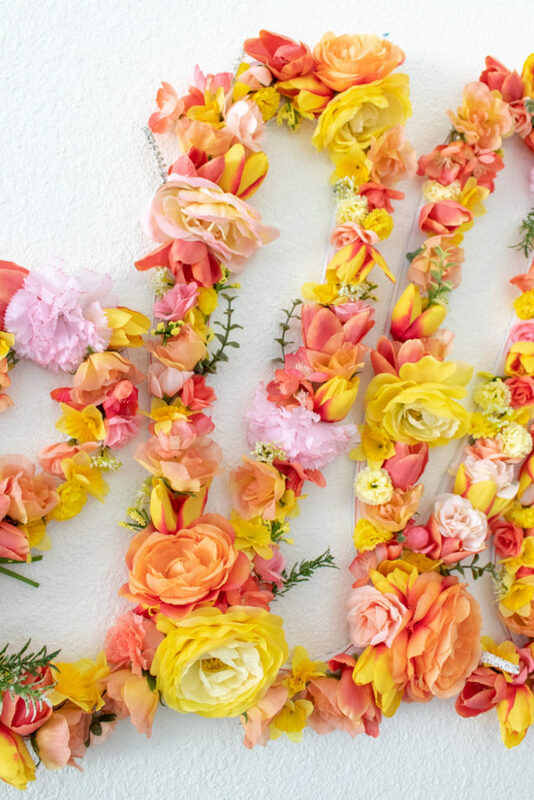 Spread out the largest flowers first, and fill in with medium and small flowers, alternating the colors until full. Note, be careful to keep the space between letters open so that you can still read it. 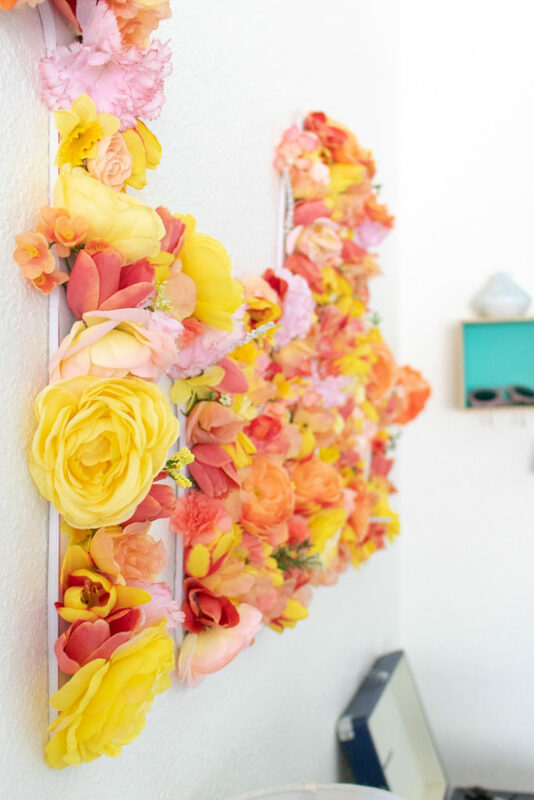 Once you finish filling in all of the flowers, you can hang it to a wall with several Command strips taped to the back! This will make it easy to put up and take down anywhere you want. 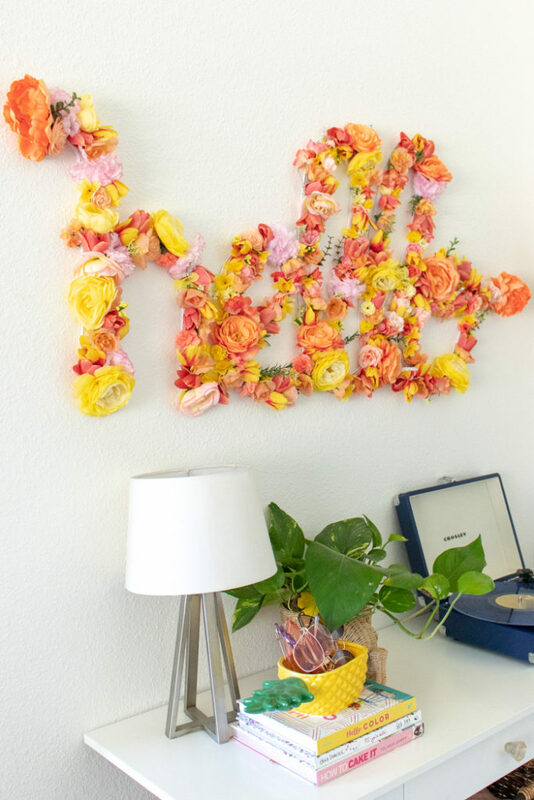 Nothing else in my home screams SPRING quite like this floral sign, and I love it that way!